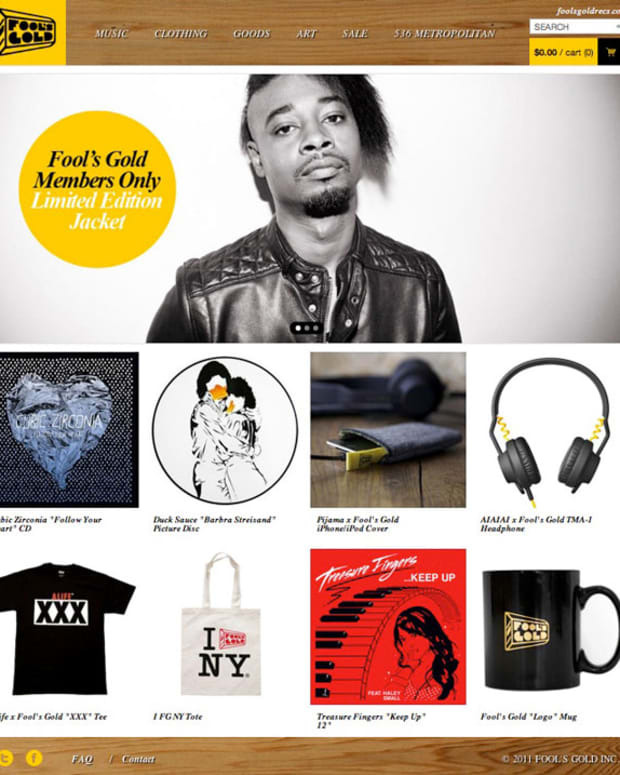 Over the past four years, Fool&apos;s Gold has established itself as a new kind of independent record company, one just as comfortable introducing once-unknown artists like Duck Sauce, Kid Cudi and Kid Sister to the world, as throwing sold-out parties where Kanye West and Drake just happen to stop by and hang out, or splashing their irreverent, eye-popping visual attitude across everything from vinyl sleeves to rubber ducks. 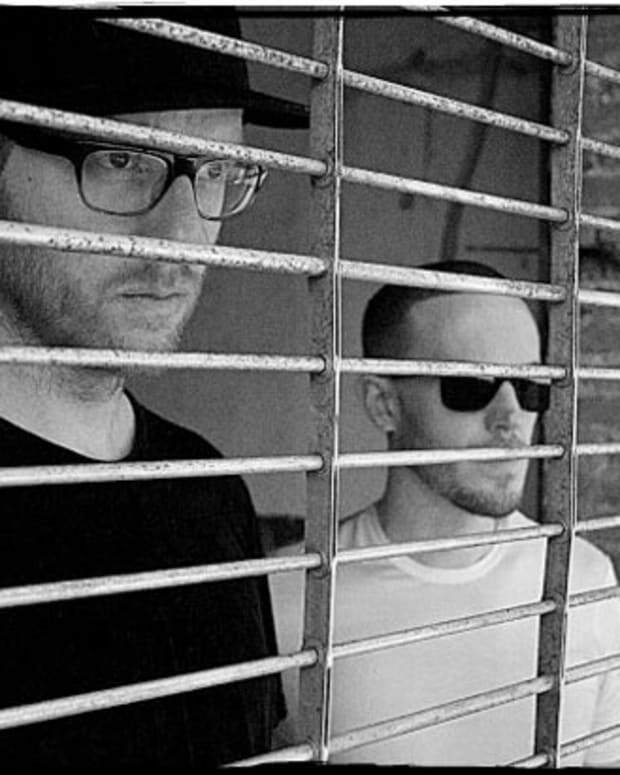 Through the catalog of work and the family of artists they&apos;ve curated, Fool&apos;s Gold has become a name you can trust for new and interesting work in every context. Their latest endeavor to proudly sport the gold bar logo is 536 Metropolitan, a top-to-bottom transformation of Fool&apos;s Gold&apos;s storefront office in Williamsburg, Brooklyn into a French bistro-inspired retail experience, featuring a wooden bar where the taps have been replaced by fully-stocked record crates, custom wallpaper and art prints, and an ever-changing selection of exclusive new merchandise alongside rare finds from the FG archives. Equal parts vinyl mecca, gallery space and clothing boutique, 536 Metropolitan launches as an instant must-visit for music fans of all kinds. 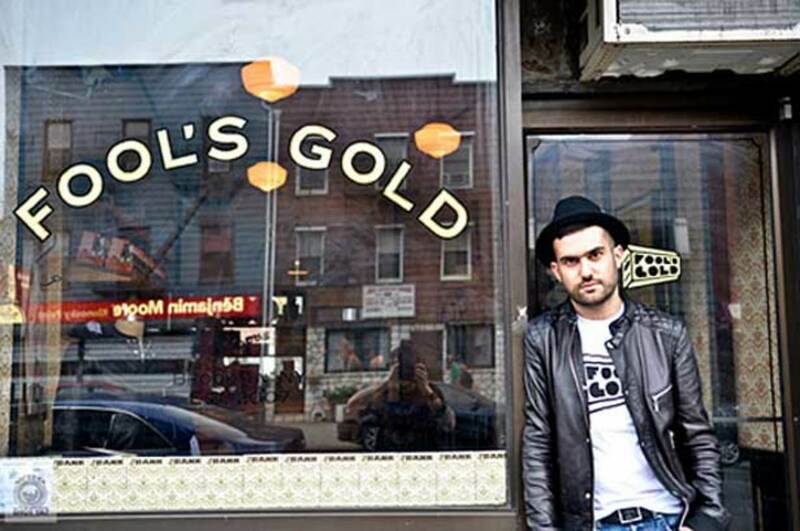 Along with Fool&apos;s Gold&apos;s own music and merchandise, 536 Metropolitan will also serve as a launchpad for product collaborations with like-minded international brands. The store opens with a collection of FG-designed luxury laptop, iPad and digital camera cases from the Italian compmany Pijama, with a line of audiophile-quality Fool&apos;s Gold headphones (for DJs and iPod-ers alike) made by Copenhagen-based AiAiAi to follow this Fall. Yet before it&apos;s even been officially announced, the most sought-after upcoming Fool&apos;s Gold collab is a limited-edition Members Only leather jacket, as worn onstage by A-Trak and Dave1 of Chromeo. These items will also be available on FG&apos;s new online store launching the same date as the shop. 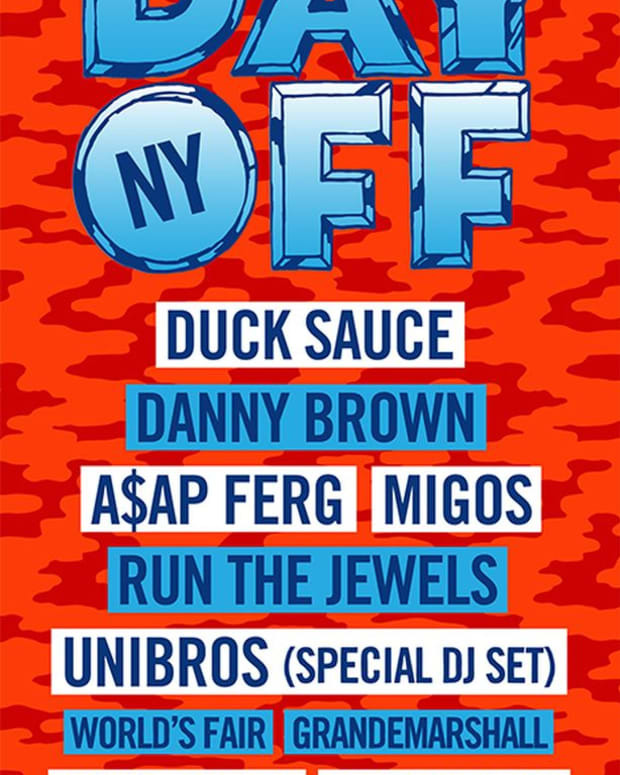 EDM Culture: NYC- Fool's Gold Rec Is Bringing Duck Sauce to BK... And It's Free!